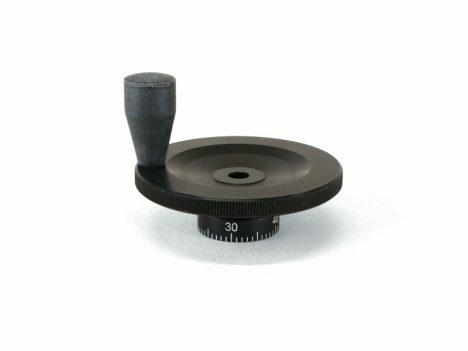 Using a larger handwheel can give a tool a more substantial feel and make cranking easier. 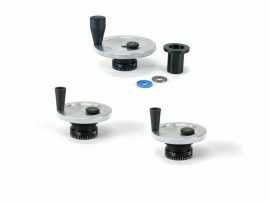 These large 2½” handwheels have the same number of graduated markings as the standard 1⅝” or 2″ handwheels but offer a “beefier” feel. They can be used on either the lathe or mill. 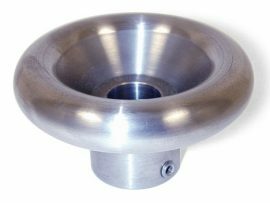 NOTE: The Oversize 2½” handwheel is not recommended for use on the lathe tailstock as it will interfere with the leadscrew handwheel if oversize handwheels are used on both.